I am a big fan of Picasa. Besides iPhoto, I use Picasa quite often and love to see the updates. Recently, Google made a small, but big change. Since August, you've been able to let friends upload photos into your Picasa Web Album, and vice versa. The way you grant permission on the Web is with a subtle icon next to the name of the person with whom you've already shared the album. Your friends can then quickly add their own photos to the online mix without having to first send them to you. They'll also be able to edit photos in the album. We immediately see the appeal for those who are working together on a project, like creating a family reunion album. Last Tuesday, Google included this album-building tool into Picasa's upload process. 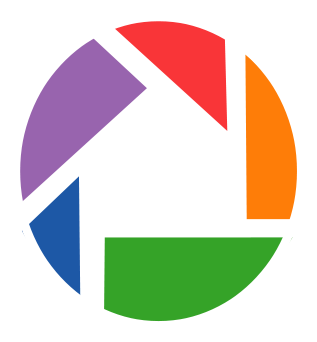 When you upload photos from Picasa 3.6 to a Picasa Web album, you'll be able to grant those with whom you share the album dispensation to work with your shots. After choosing the pictures you'd like to upload, you'll choose a group you want to share with and check that box to let them contribute to your work. You can also click the "Share" button in an album on Picasa for the desktop to type in e-mail addresses for individuals. Picasa 3.6 can now also suggest contact names in the "People" tab for the app's name-tagging feature, which helps you speedily put namea to the faces in your entire photo collection. There's also more control over which photos get scanned in the Tools menu. Other additions include being able to save custom crop sizes and an option to keep a JPG photo's compression metrics when uploading to Picasa Web Albums.